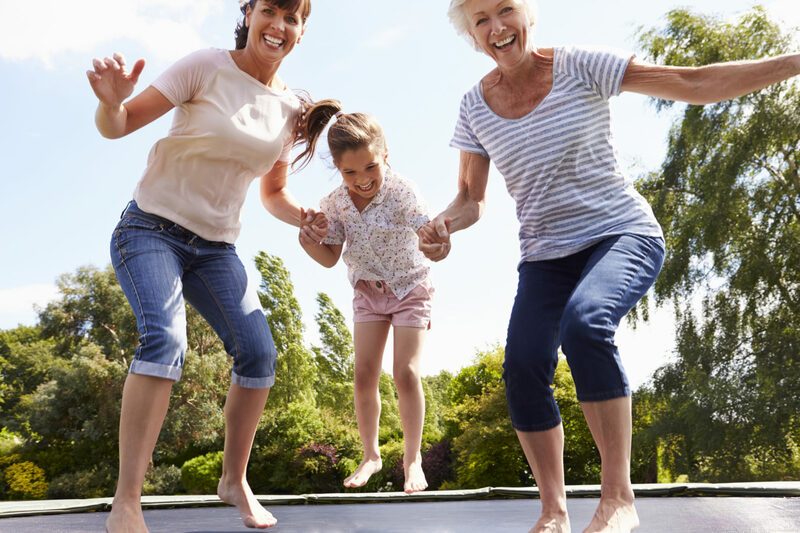 Rebounders are not only great for a fun activity, but they also have notable health benefits. However, many people forget to properly maintain their rebounders, which can determine the safety of users and lifespan of the rebounder itself. To continue benefiting from the many advantages of rebounders, it is important to care of them. Follow these four maintenance tips to make your rebounder last longer. Many people will simply place their rebounder wherever they have space. Having enough space is not the only factor you should consider when deciding where to place your rebounder. Proper placement can be the aspect that determines whether your rebounder lasts ten years or two. If you are putting your rebounder outside, try to find a shady location. Not only is this more comfortable for the user, but it will help protect your rebounder from sun damage. Excessive sun damage will weaken the mat and age the rebounder more quickly. However, when you are finding shade, try to find a spot that is not directly beneath a tree. If you place your rebounder right beneath a tree or large bush, a branch could fall and damage it. Additionally, putting it right beneath a tree will limit how high the person using it can bounce. If you have a grill or fire pit, place your rebounder a fair distance away so that stray embers or sparks will not float over and burn the mat. Depending on where you live, weather can be a massive factor in maintaining an outdoor rebounder. Weatherproofing it will reduce the damage it suffers from the elements and increase the chances of it lasting longer. The safest decision is to put your rebounder away in the fall and winter. Taking apart an entire rebounder and rebuilding it again later can be time-consuming and tedious. Luckily, you can protect it without taking the whole structure apart. If you have the storage space in your garage or basement, you can take off the mat and springs and store them. The frame will be able to survive the hazardous weather more reliably than the other parts of your rebounder. If you choose to keep your rebounder outside all year, you need to check on it frequently. Heavy leaves and snow can weaken the mat enough that the first person to jump on it falls through. You need to clear off the rebounder consistently to prevent it from weakening. Other owners use covers in the harsher months. Placing a protective cover over your rebounder can protect it from frost and make it easier to clean off snow and leaves. It is also a good idea to anchor your rebounder to the ground, so that strong winds will not pick it up. There are anchor kits available that give you the tools you need to attach it to the ground. It is especially vital to check your rebounder if it has been a while since anyone last used it. If you can catch potential issues early, you can fix them before they do serious damage to the equipment. Additionally, keeping up-to-date on the condition of your rebounder will prevent anyone from suffering an injury by jumping on a weakened or broken rebounder. No jumping with shoes, because they can cause holes. Follow the weight limits for the rebounder and only jump one person at a time. Always install safety pads when using the rebounder because it will encourage jumping in the middle, keeping the springs in better condition. ← What Is a Rebounder? Why Is Everyone Rebounding?